We were delighted to host our annual UKAS accreditation assessment this week and are pleased to announce that the audit was a success. The UK laboratory audit, undertaken by UKAS (United Kingdom Accreditation Service), was carried out in accordance with ISO/IEC 17025:2005, the highest testing and calibration laboratory standard of which there are two main sections of requirements - Management and Technical. The Management requirements are primarily related to the operation and effectiveness of the quality management system within the laboratory and the Technical requirements address the competence of staff, methodology, test/calibration equipment and the test methods. These yearly audits have allowed us to maintain our continuous 17025 accreditation since 1983. “Ultimately the accreditation gives assurance to our laboratory customers that our quality management system is maintained and that the service they receive is of the highest quality available” said Alison Potere, Continuous Improvement Manager for all three Spectro | Jet-Care laboratories. 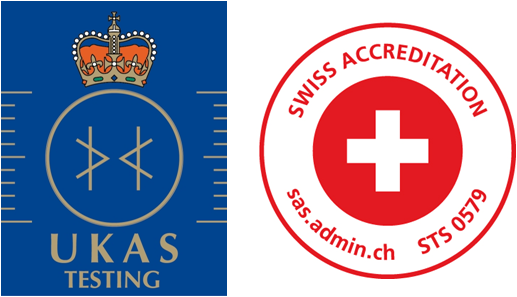 “A successful UKAS audit for our US laboratory and SAS (Swiss Accreditation Service) audit for our Swiss laboratory also took place earlier this year, allowing us to continue to provide a first class analysis service to all our customers around the world”. Both UKAS and SAS accreditations cover the majority of the tests undertaken at our Laboratories and details of these tests can be found in the Schedules which are available to view and download here. NB: Use of the UKAS accreditation mark does not imply that all activities are accredited by UKAS. Accreditation covers the laboratory activities in accordance with the Schedule of Accreditation.